With every sunset, there is also sunrise, top 5 among the world’s most photographed subjects of photography. 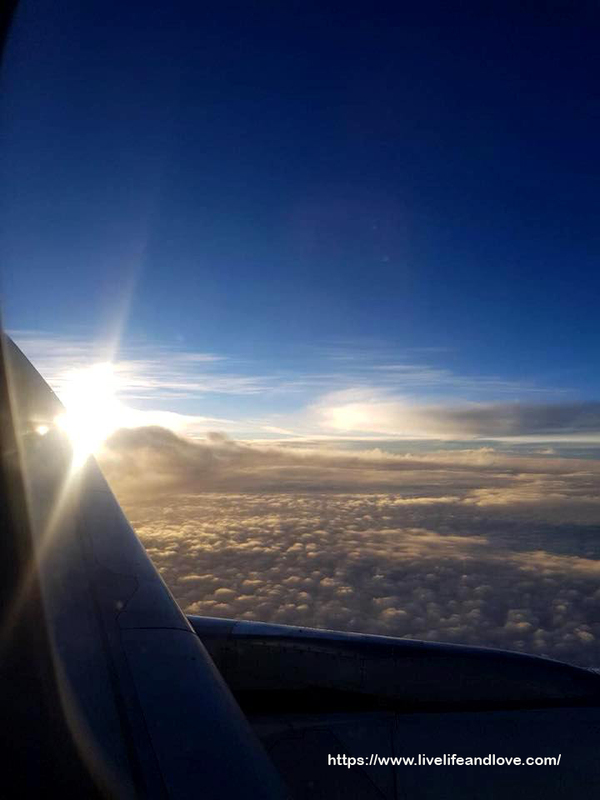 Up close and personal, I have managed to capture the sunrise over the clouds from an airplane window while heading to Bali, Indonesia. 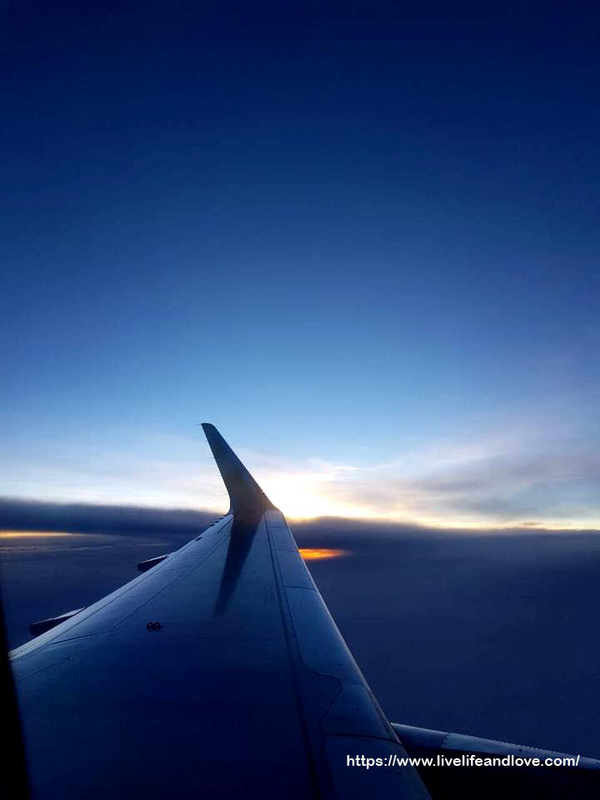 Early morning flight schedule gave me the opportunity to capture the beautiful sunrise. At such a fast rate of speed, so quickly to rush, only just a moment to enjoy the sunrise. 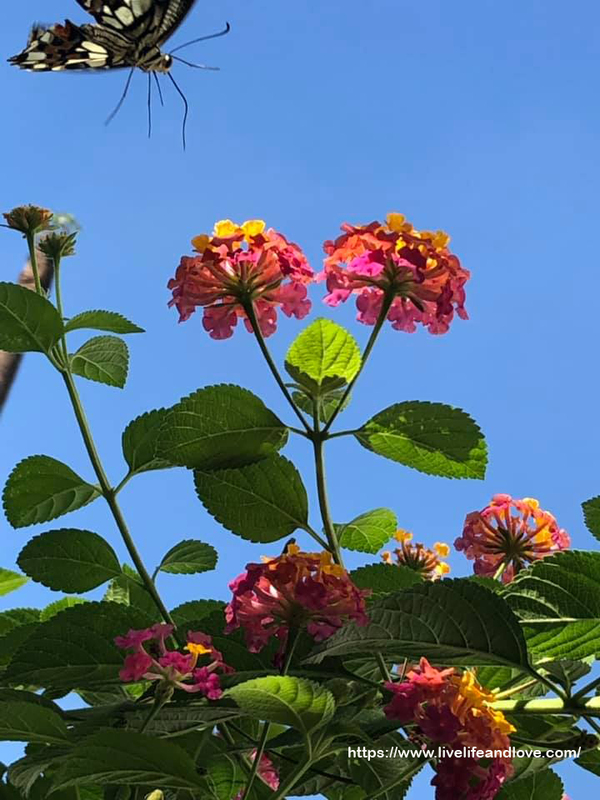 My first experience to capture the early morning light that signals the beginning of the day. Up high looking down from an airplane window, it seems the trees and mountains looks so very small but I’m enjoying the stunning valley floor most splendid when the fog fills the meadows and drapes the surrounding cliffs and sentinel peaks. 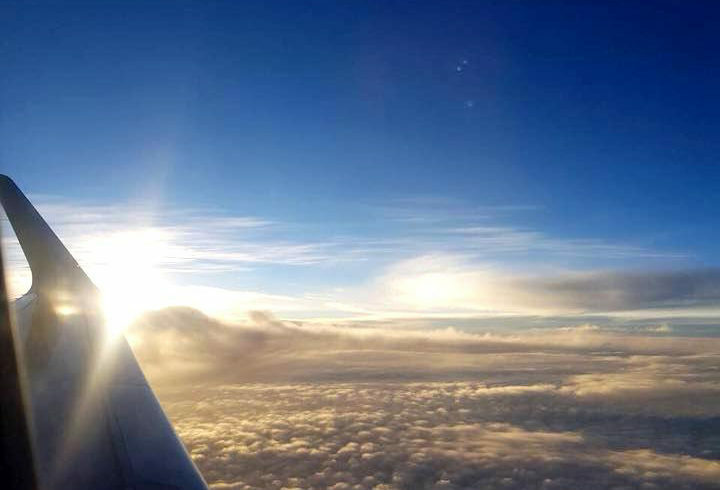 Blanket of clouds at sunrise, it’s a worthy wonders of nature. 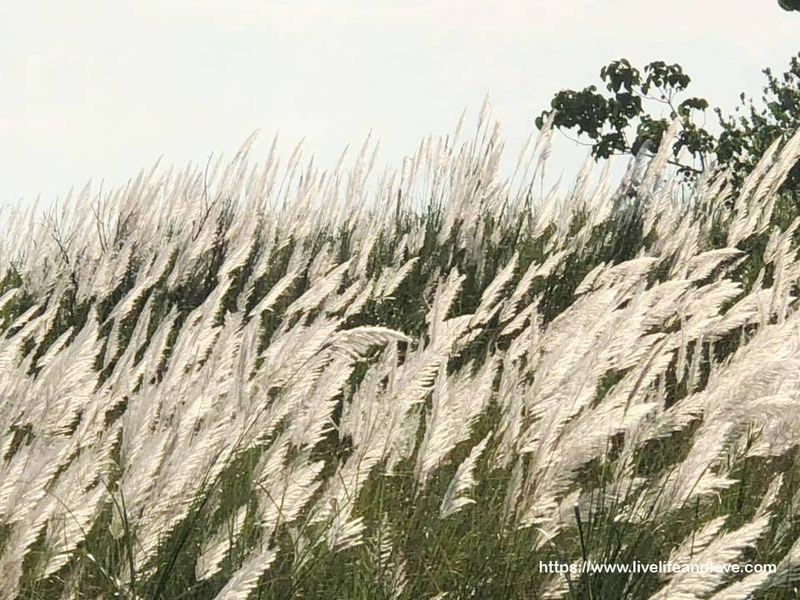 We passed by Feather White Pampass Grass Farm on our way back to Piat from Tuguegarao. 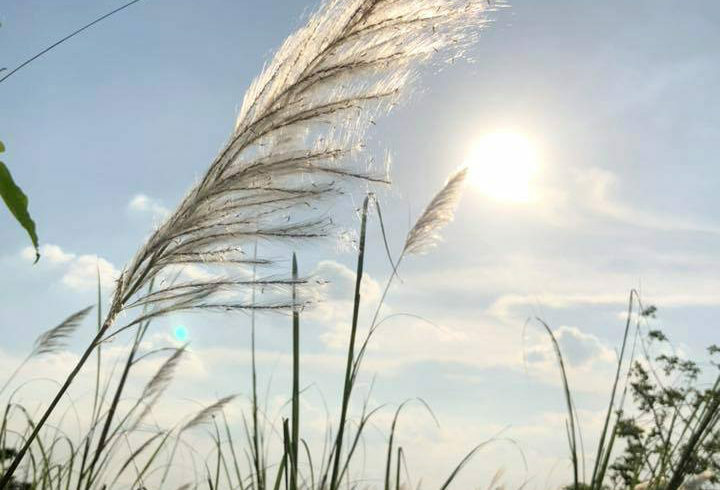 I was amazed to see the feathery grasses, I can’t pass without taking a few shots, it’s just so great not to miss these gorgeous shots for a simple souvenir. 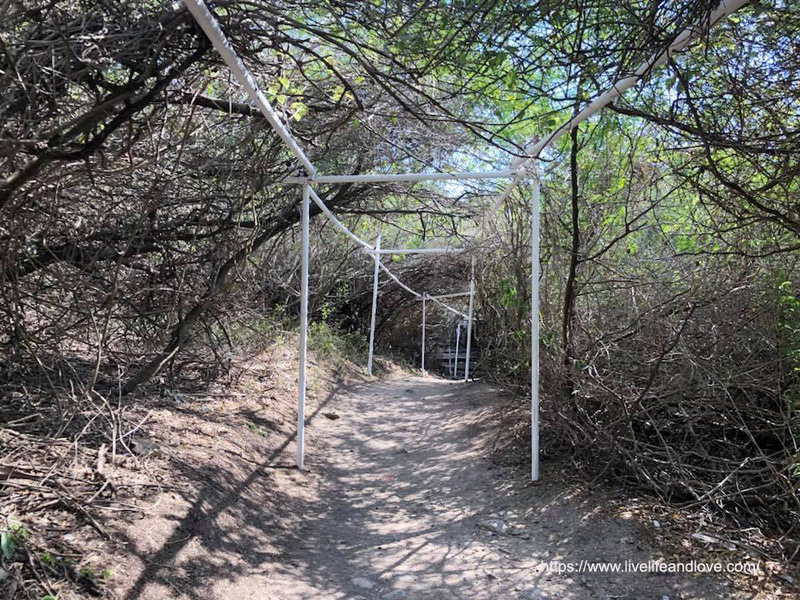 From the attractive edge on a bright sunny day, what a dramatic backdrop by the view of the orange-purple glow of the sun above, I’m enjoying hiking trails into the areas set amidst a roadside under laid with beds of ornamental grasses. 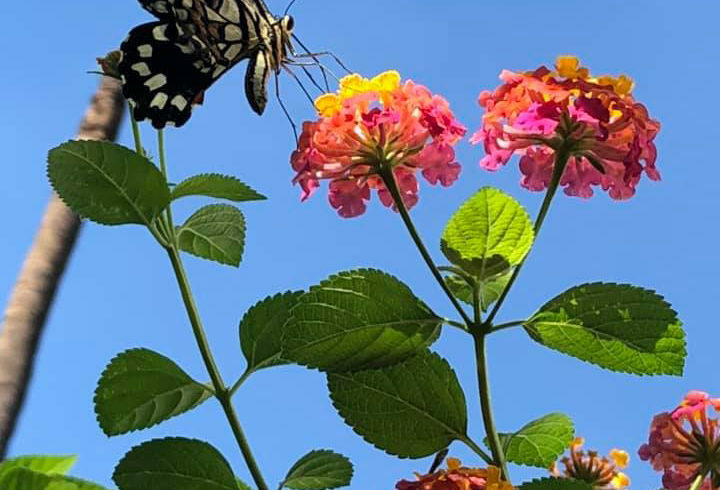 Gorgeous photos taken on a bright sunny day, it’s particularly unique and full of life. I don’t see the same kind of ornamental grasses everyday. 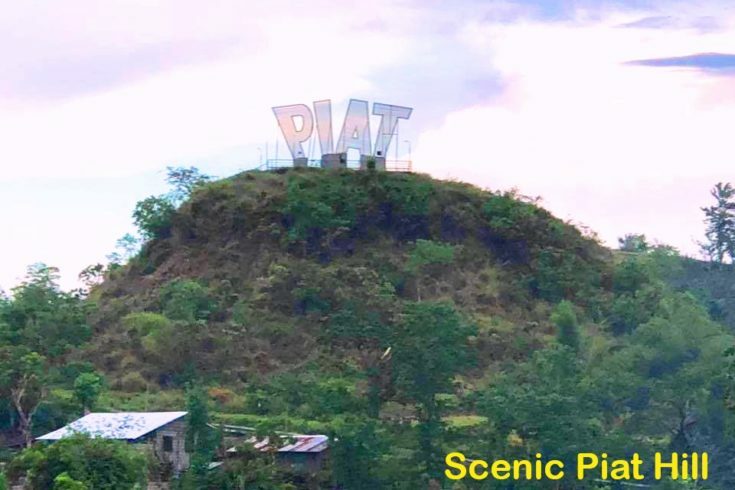 Piat sign is now a prominent Itawes landmark that offers a scenic view of the town. 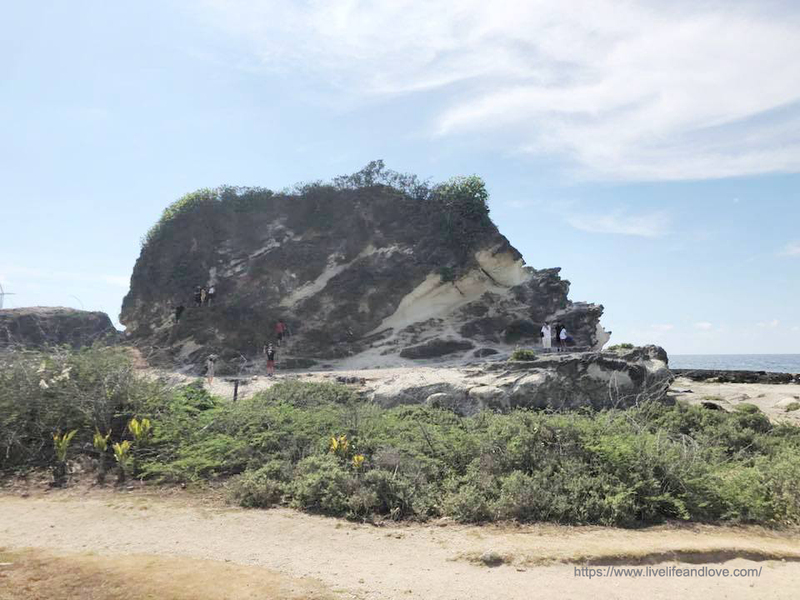 The awe-inspiring scenery above the hill attracts many visitors, the view on top is spectacular! 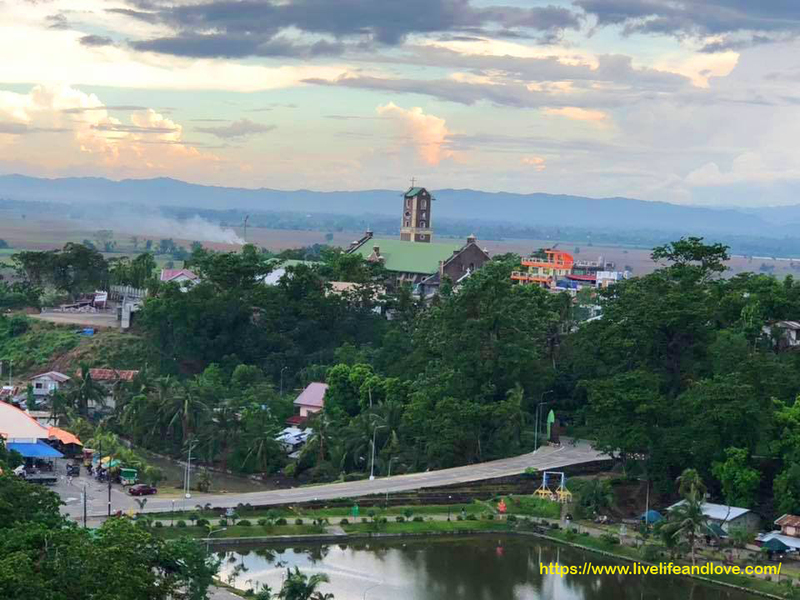 For a dramatic setting, go during twilight hours, the skyline is quiet colorful and vibrant overlooking the Basilica Minore Nuestra Senora De Piat belfry, Chico river and the towering mountains down to the beautiful Black water Lagoon. 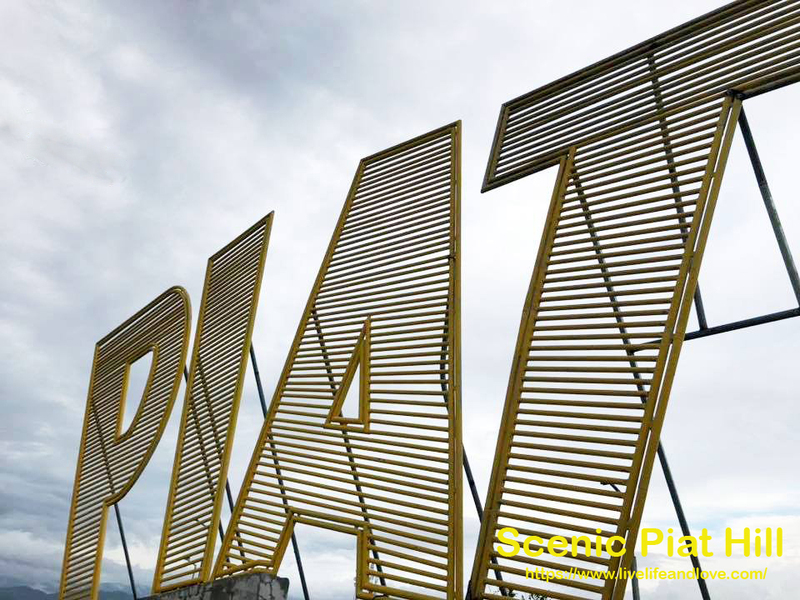 The arrival of new development in Piat, you’ll be energized by its variety of offerings and new attractions. 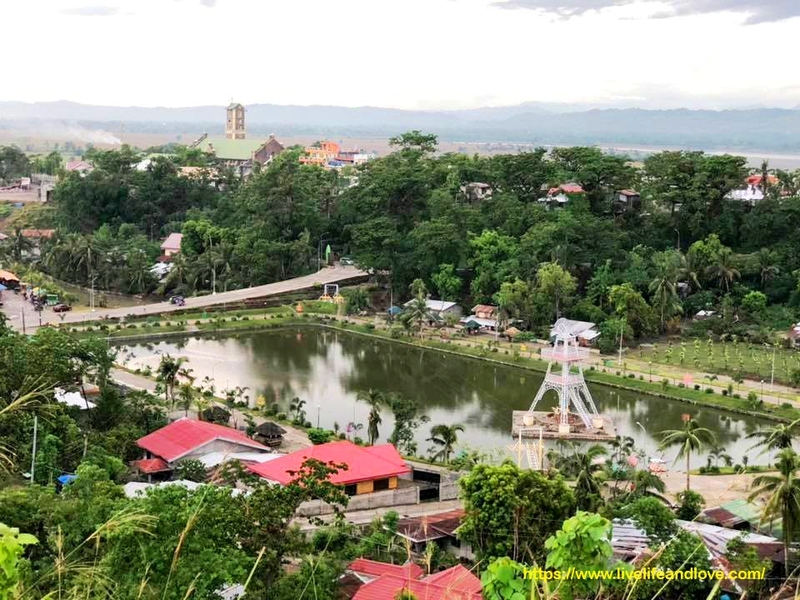 Piat Cagayan is the land of the religious and hospitable people. 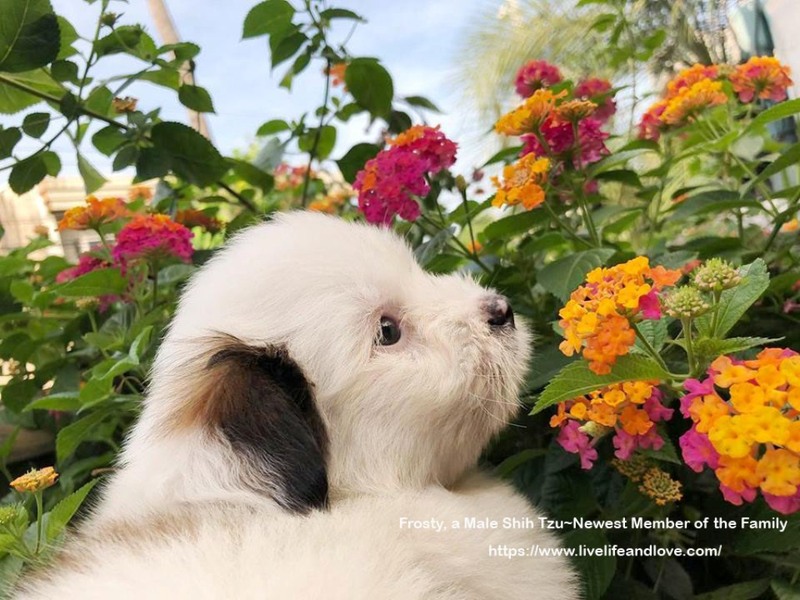 Owning a puppy requires a big commitment to love and care for the next 15-20 years of life. 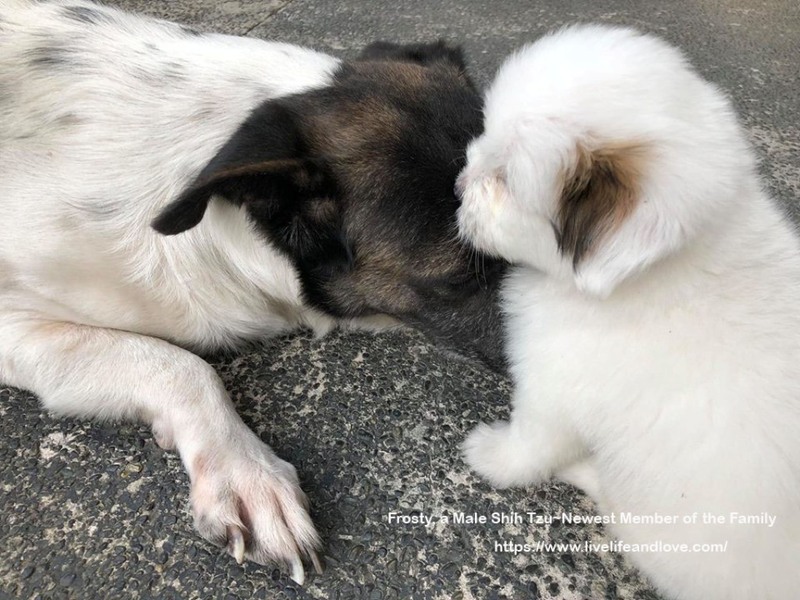 Aside from commitment, the number two prerequisite for adoptive families, you will remain committed to treat him as your own but in the end, you’ll be rewarded by unconditional love and eternal grateful to your love and kindness. 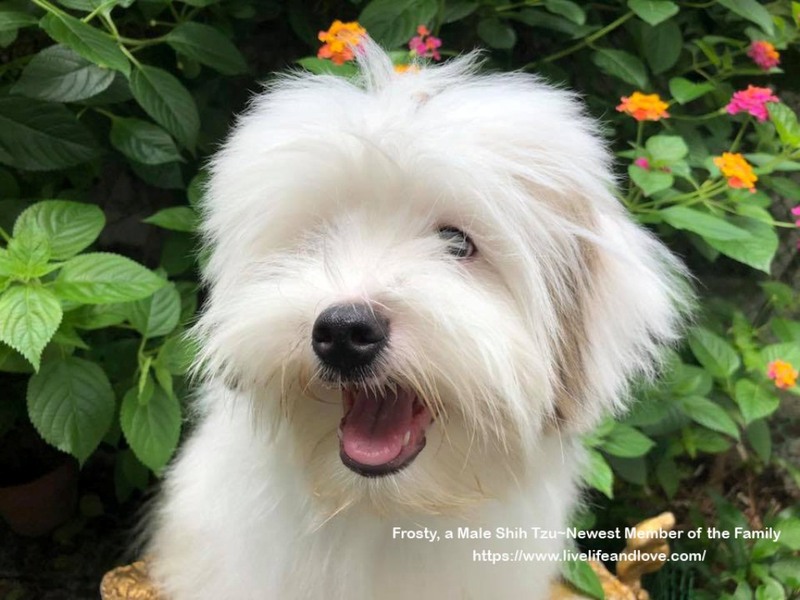 Before Frosty arrived, we made sure our house is safe and hospitable for him, we removed everything that will harm him like bottles of pesticides or anything toxic to dogs. We want to give him a safe environment as possible. Because he is still a puppy, it requires more time for basic training and to learn proper command. We were all very excited to welcome the newest member in the family. The first night was memorable. it was so difficult for a 3 month old puppy to be away from his family for the very first time and I’m sure, not accustomed to sleep alone. I can’t take heart-wrenching cries and I was tempted to comfort him putting him on my bed to minimize night stress. One most difficult to handle, picking up a poop, wiping stringy pee. For sure, it’s my responsibility but there’s the other one most difficult to handle is during teething stage, when he misbehaves, I will correct it firmly with gentle words. 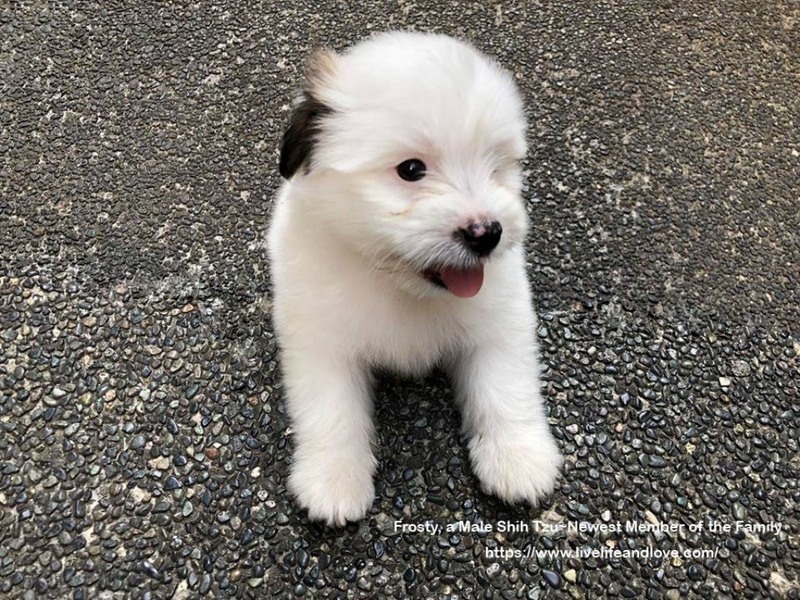 This is just normal for a puppy, we all experienced bad behavior during this time. He once rolled the whole toilet paper pulling from the toilet down to the kitchen, dining room ended in the living room, that was merely 8 meters away. 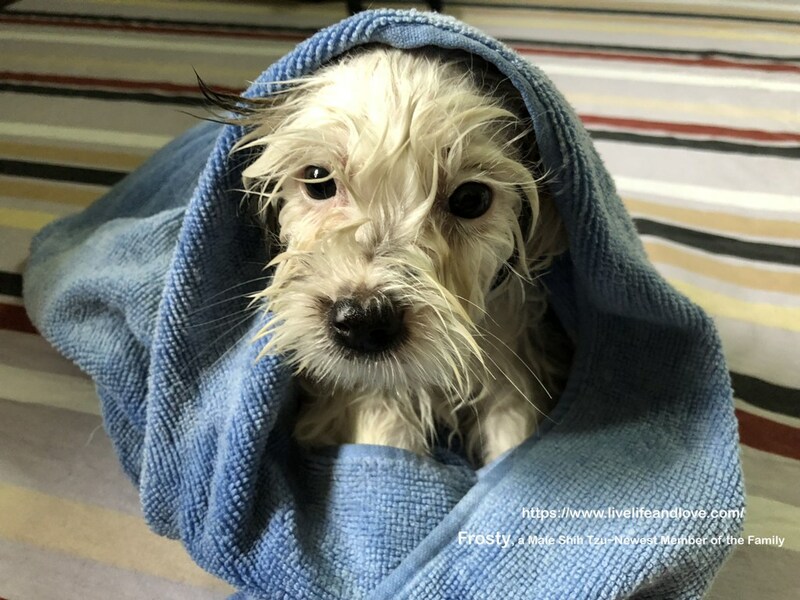 The destructive chewing is the problem here, he likes to chew everything, he chewed more that 8 shoes and 10 slippers, books, ear headphones and furniture. So much and we gave Frosty an appropriate toy to chew to soothe his itchy gums. Puppies go through teething stage just like babies. 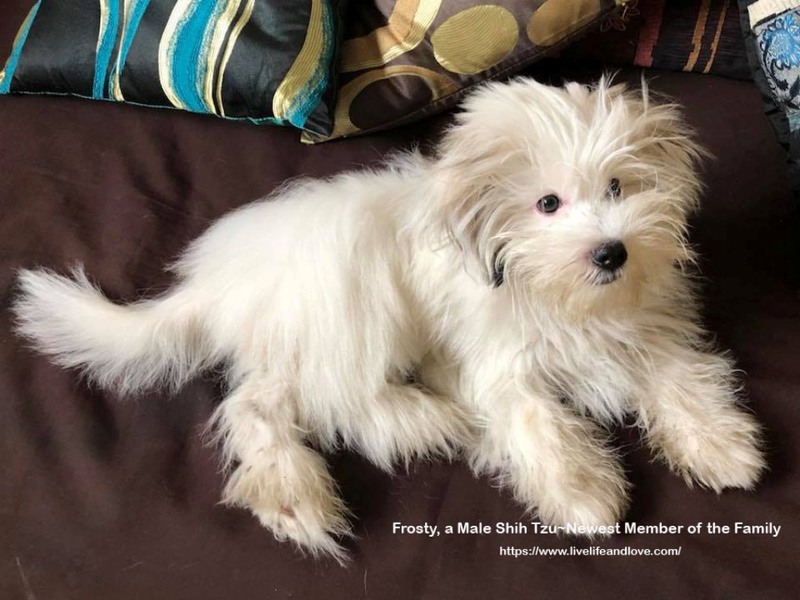 Frosty is a 9-month-old male Shih Tzu with a typical colors of crystal white with 3 light brown spots and black on both ears. 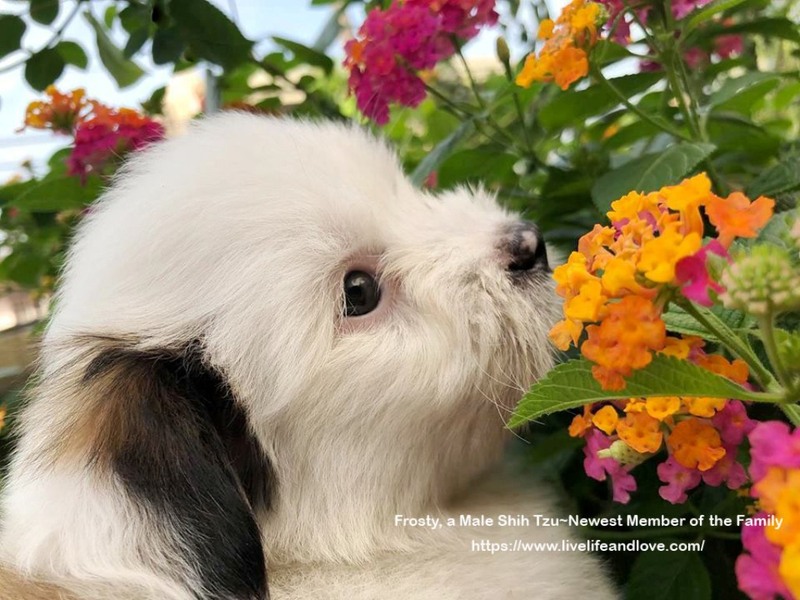 The good impression of overall appearance is a ‘’handsome figure’’ He is friendly, loving and sociable but naughty playful which is just normal for puppies. 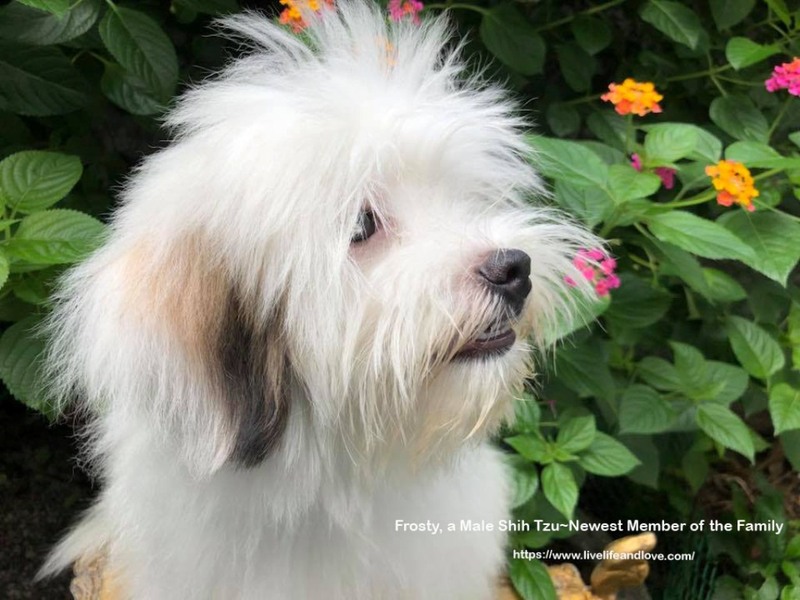 We have 3 dogs; 2 Labrador breed and Shih Tzu as the latest one, we give them quality time; spending good time walking as a regular scheduled activities, giving them proper diet, daily grooming and a regular veterinary check-up of eye, ear, coat and dental care too. Giving everything needed, Frosty just completed all his vaccinations. I have a complete grooming supplies; metal pin brush, nail trimmers, dog shampoos and many more. 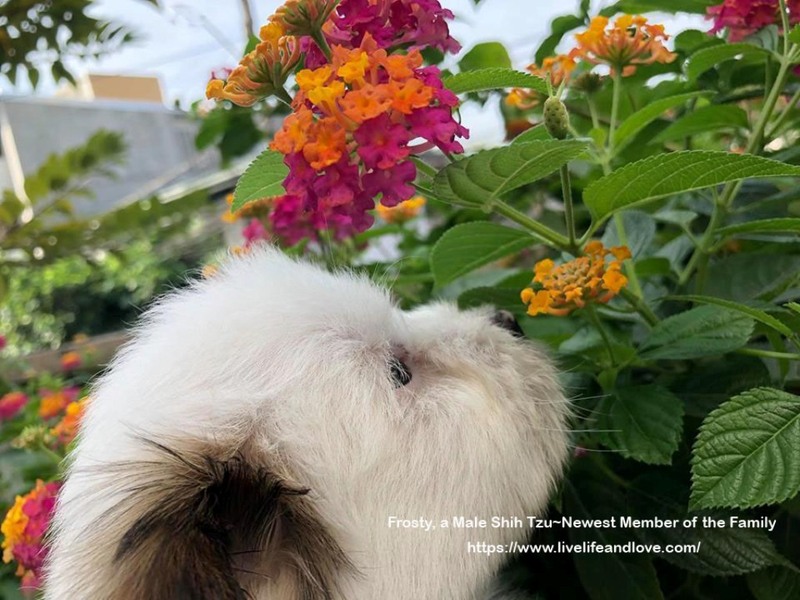 Aside from jumping, we also play lively game of squeaky toys but soon he will learn the basic obedience training and commands like; heel, sit, stay and many more..
Just like me, Frosty loves to smell the flowers in the garden. 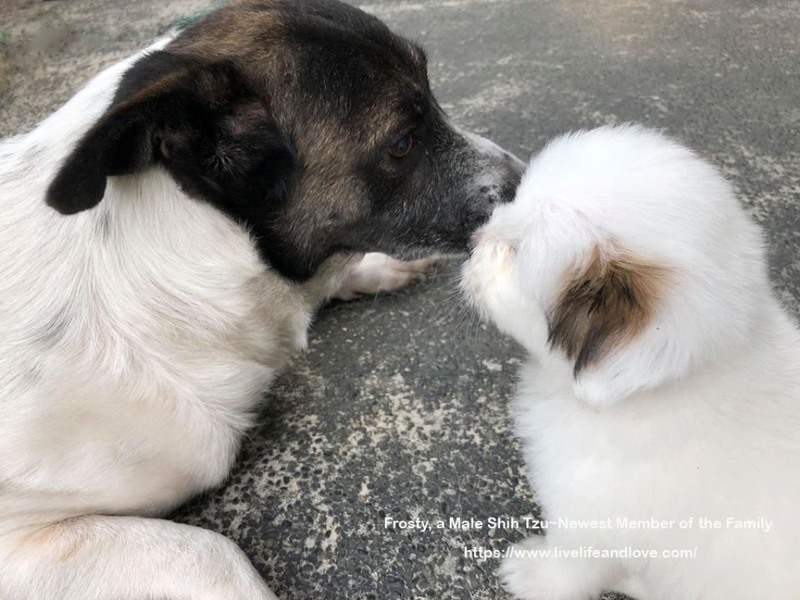 Moo Cow is a big Labrador breed and Frosty is just a toy dog but they get well together. 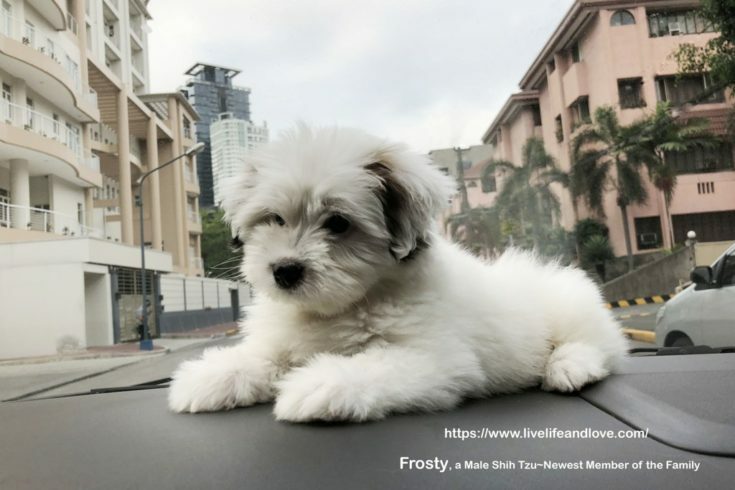 2-Month-Old Frosty He is so cute!. 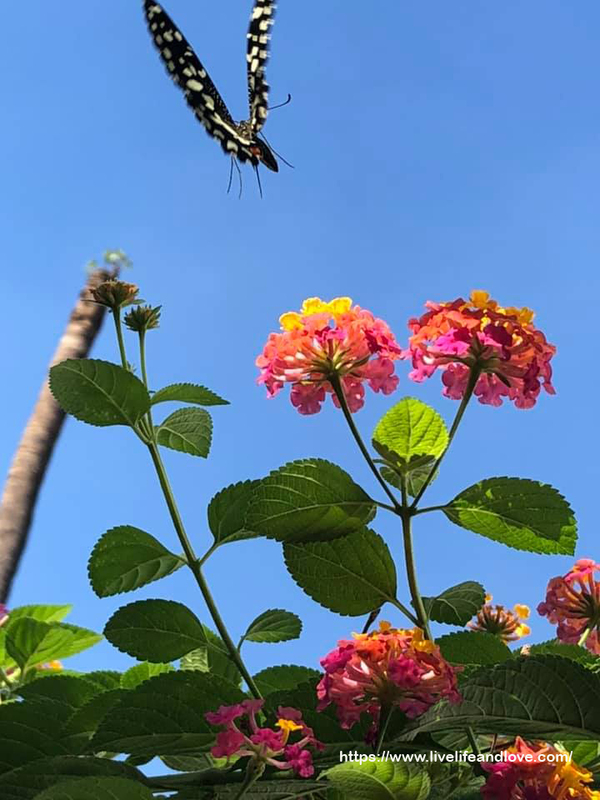 Another stunning shots for my baby! I will always think of the health benefits being a dog owner and they are my best friends relieving my stress. They will change my life forever. And you? 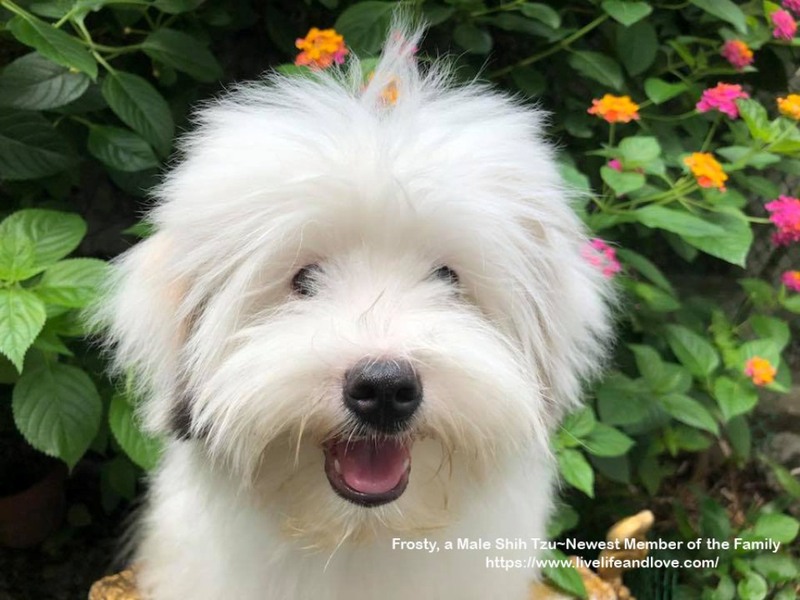 Are you ready to be a pet master? We got the chance to visit Patapat viaduct as part of Ilocos tour. 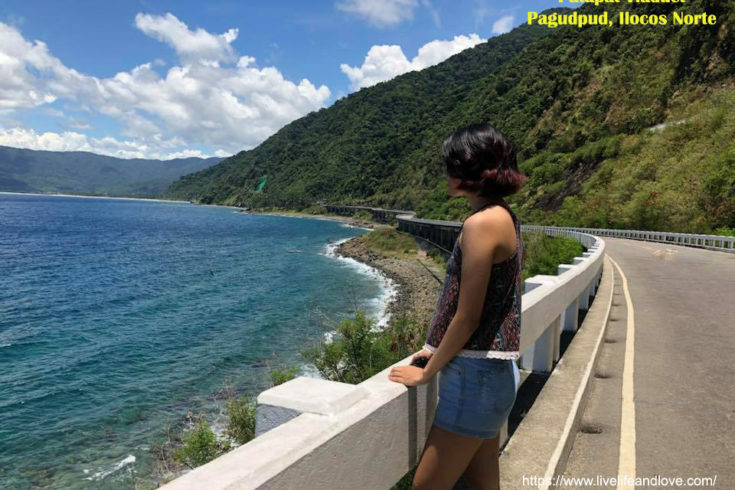 Patapat viaduct,a curved bridge built on the side of the mountains with a spectacular view of the coastline,it connects Ilocos highway to Cagayan valley.The winding viaduct is a tourist attraction situated in Pagudpud,Ilocos Norte. 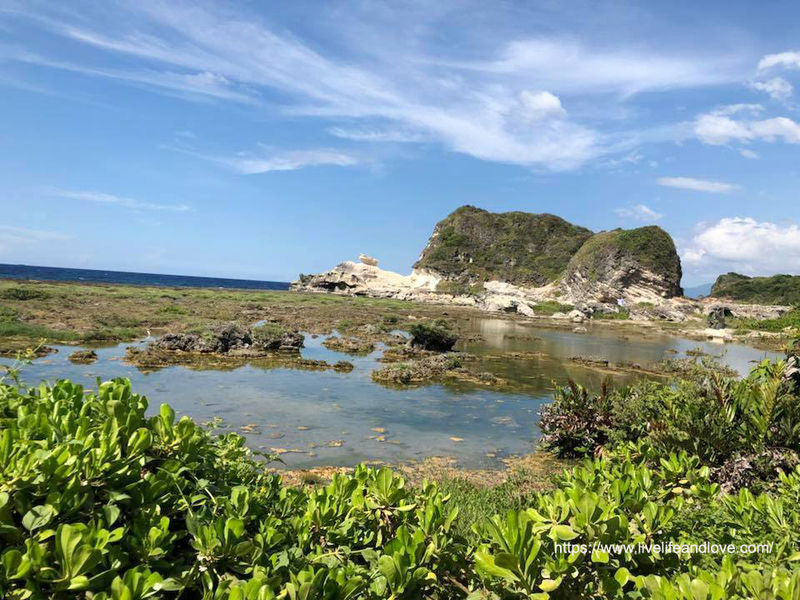 Ilocos is a home to some of the beautiful attractions, one of the most wonderful attractions I’ve seen is the ”Bantay Abot Cave” It is located along the beautiful shore of a small town of Baloi, Ilocos Norte. 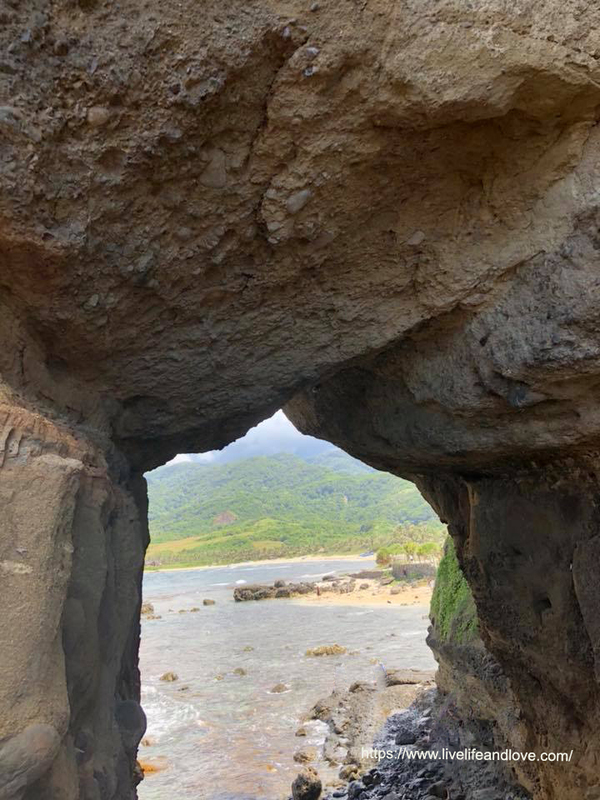 From the name itself, ”Bantay” means mountain in Ilocano and ”Abot” means a cave. It’s a mountain with a hole. 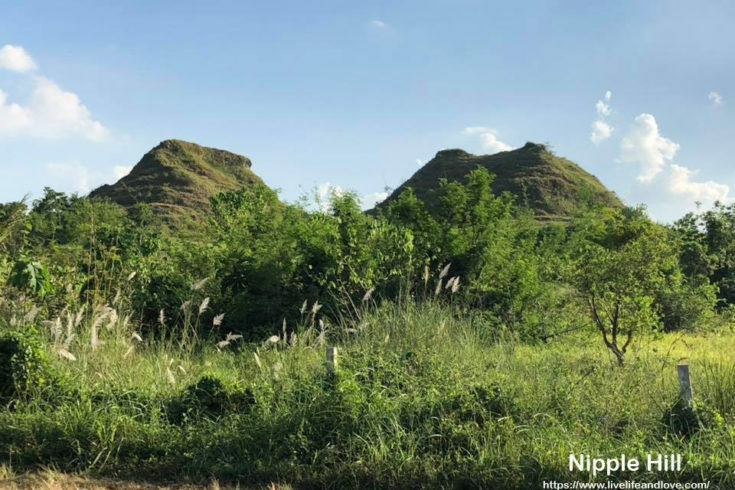 Bantay Abot cave is not really an ancient cave, it is a hill that was wrecked by an earthquake in the year 1980, leaving a hole in the middle part, it looks like a Doughnut hole. Behind the hill is a high cliff. Down there is a sea from a high cliff, you can see the powerful waves breaking down and crashing into rocks. This sea is not suitable for swimming. 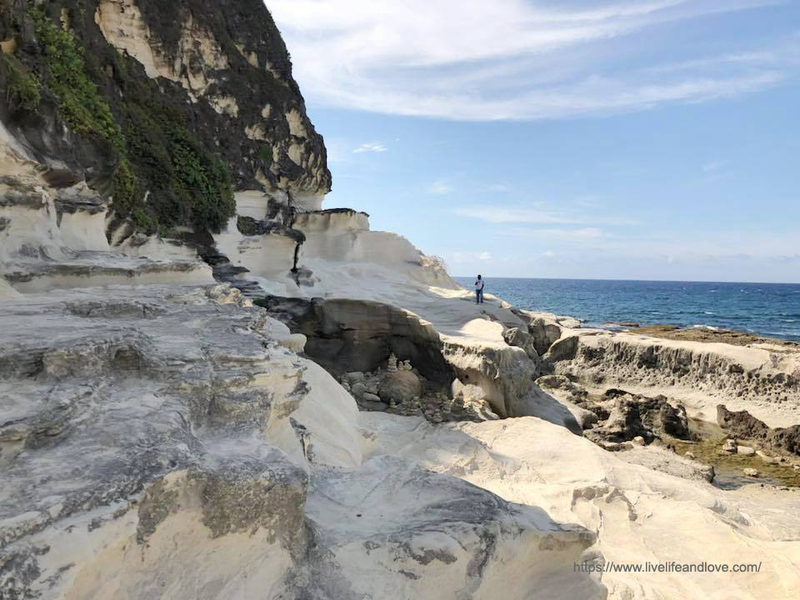 Standing up high the cliff to see the stunning view of the whole area. What a stunning scenery! 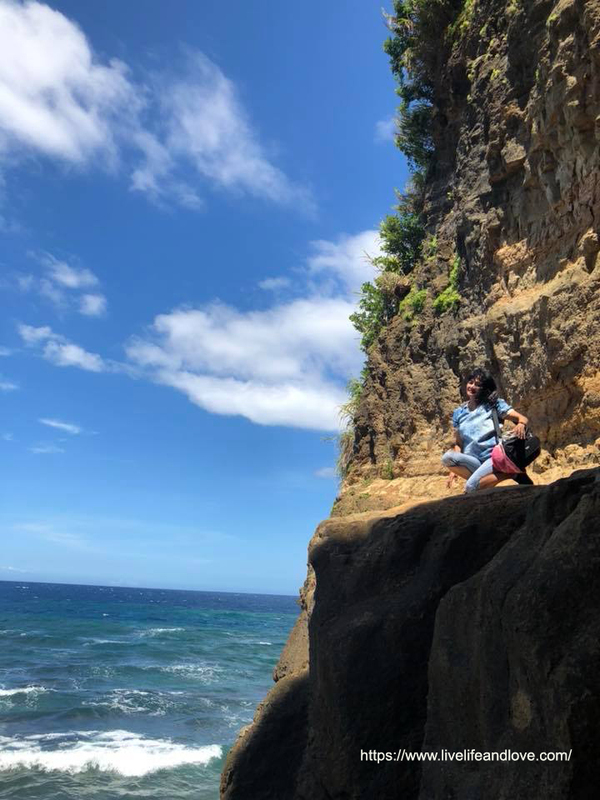 Somewhere up there, the sounds of sea waves can do more wonders, it makes me feel more relaxed, so refreshing to keep me going and washed my blues away. It cures everything. 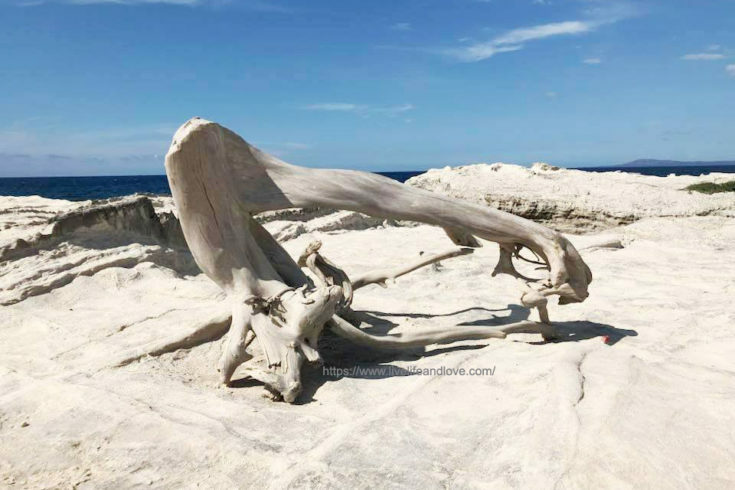 This is just a proof that beauty can also be found in ruins, Natural forces have sloped this, it looks like cracks on earth. 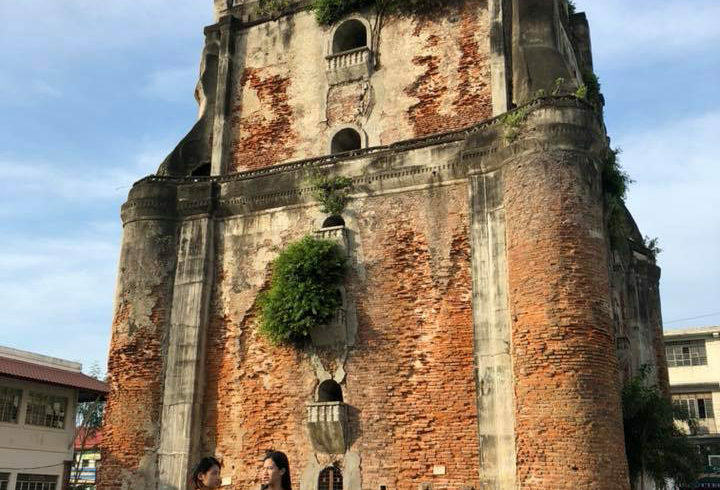 Ilocos is a home of historical and architectural features. 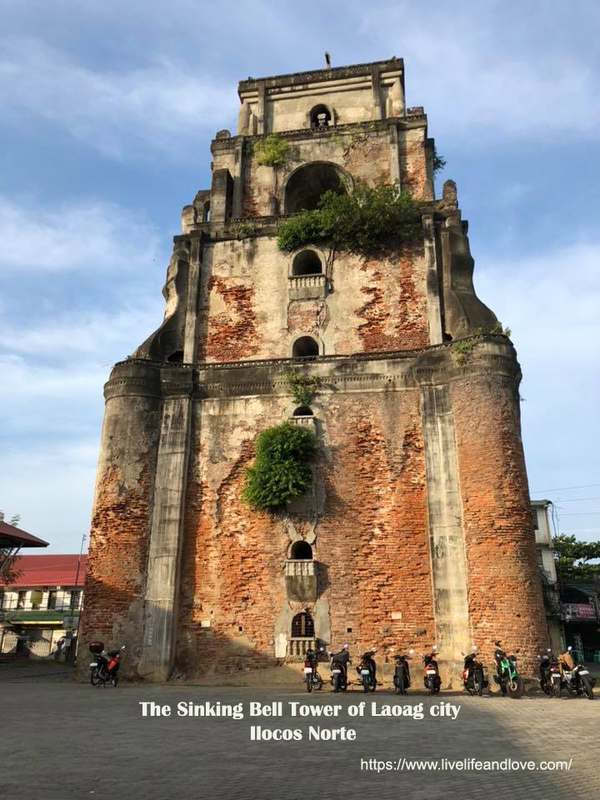 The Sinking Bell Tower of Laoag is a century old 45-meter tall bell tower built by the Augustinian Friars in 1612. The construction is a typical earthquake baroque. Built by old brick and stone-faced with lime stucco plaster, the tower rises in 4 tiers. The base with its massive rounder corners supports the graduated upper tiers noted for its graceful curved buttresses and corner treatments giving its early baroque appearance. The tower is crowned by a double dome topped with a cross and housed 6 bells of different sizes. Way up thru a vaulted tunnel leading to a winding wooden stairway. The high pitch ringing sound of the third tier can be heard in a neighboring town, it’s a joyful noise of adoration and to call attention to those unable to hear mass. Because of its great weight, over the years, the soil greatly weakened losing structural support causing the bell tower to sunk a rate of an inch a year, that’s why it is called the ”Sinking Bell Tower” According to history when a person on horseback once could enter the vaulted entrance without stooping. Now, a person of ordinary height has to stoop to enter thru the door. 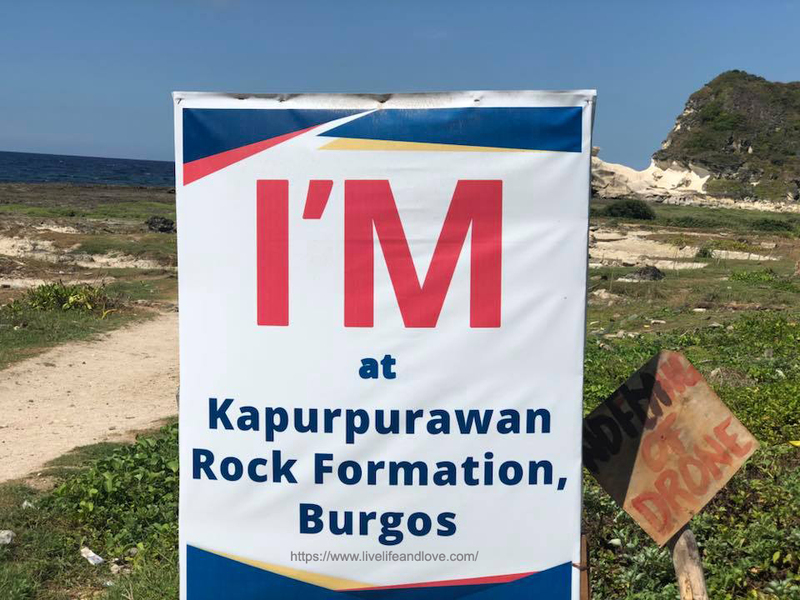 Out of the 25 tourist attractions I’ve seen during my tour to Ilocos, the Kapurpurawan Rock Formation in Burgos is a sight to behold. 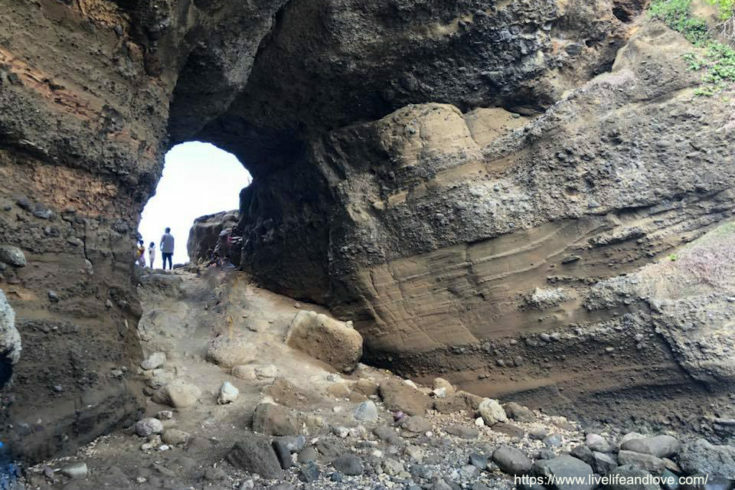 Particularly renowned for its unique formation of rocks that looks like a reminder of prehistoric past. It is extremely a rugged white mountain of rocks rise above highlands. 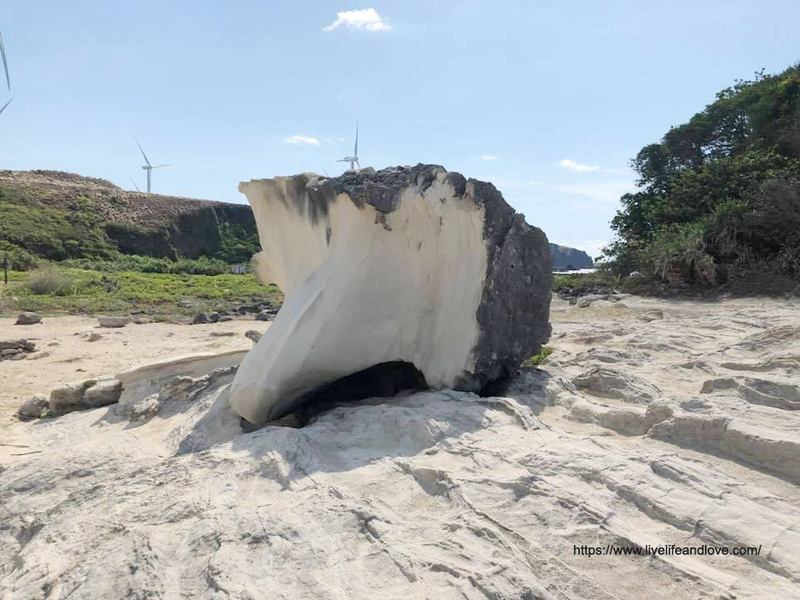 The irregular and cone-shaped high rocks of every form takes a hundred of years to form, it’s usually formed by products of erosion of pre-existing rocks. 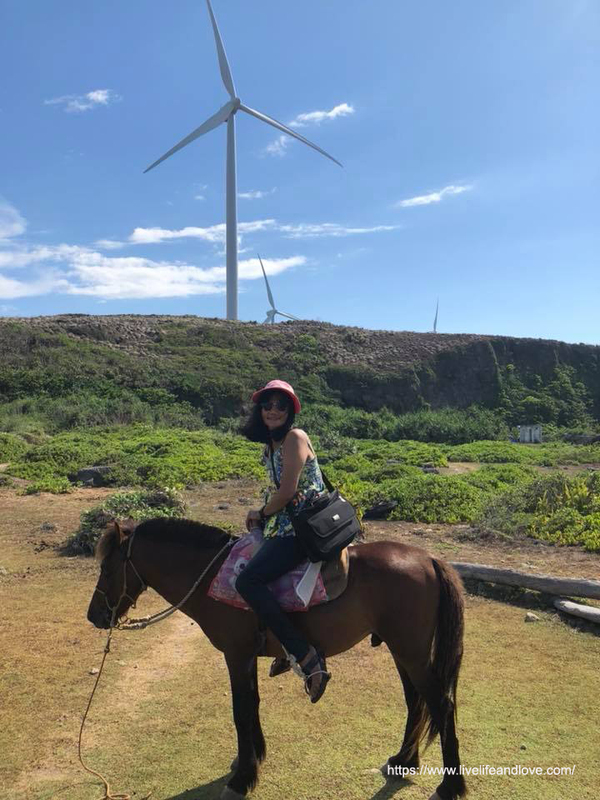 Because of the rugged terrain, I’m not so sure if I can tolerate the heat and not really sure if I’m fit enough for a 2-hour uphill and downhill trek, it was extremely hot but windy out there so I rented a horse to take me around following the steep trail and surely, it’s the kind of horse that can manage rocky terrain. Anyway, the cost of the horse is not that expensive at all, it’s only 100 per person with a guide around. 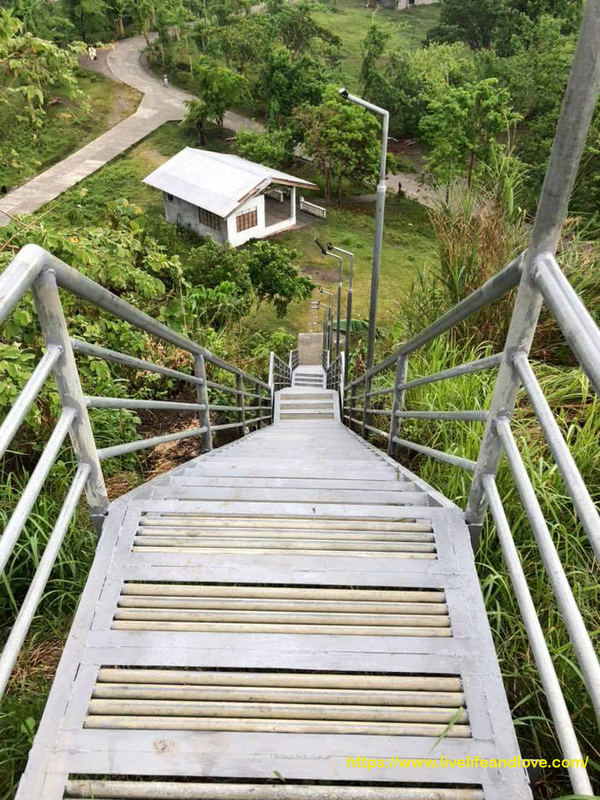 This trail will lead you all the way down to the rock formation site. 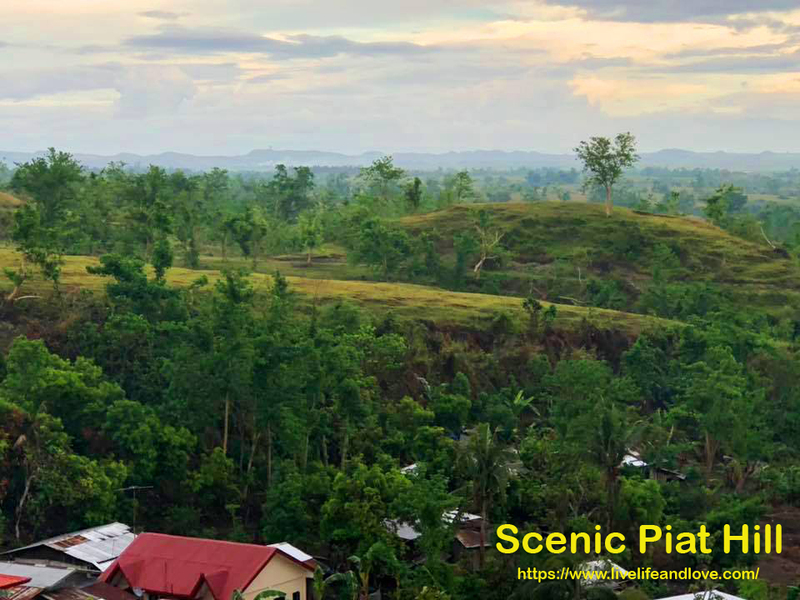 Down there is a sloping pasture, you can see the presence of cattle, sheep and goats around. it’s a grazing land. I’m not an experienced rider but I can lead a horse. 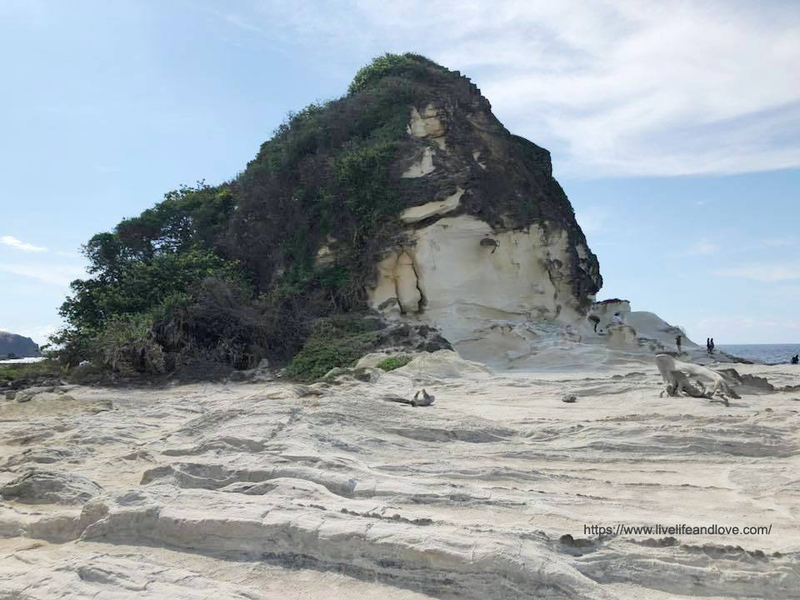 One of the most dramatic rock formation. 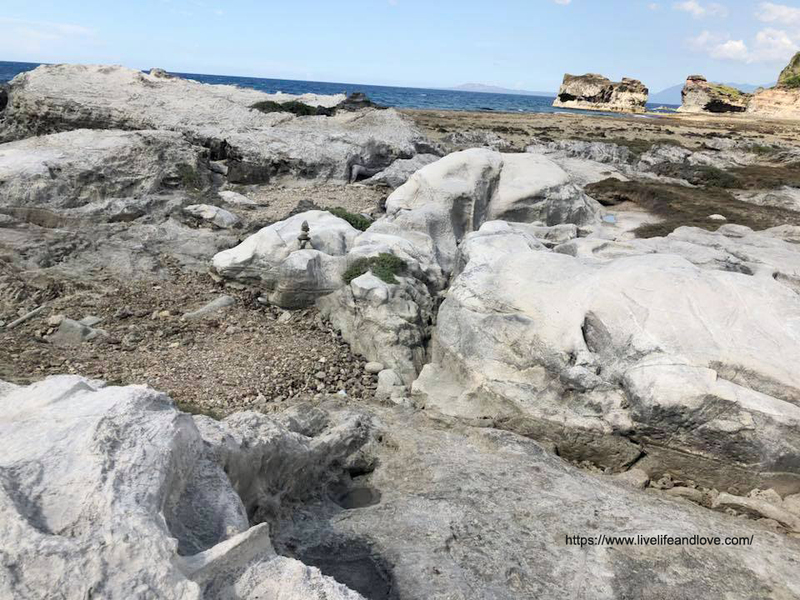 Photo shows different sedimentary rock formations as simply formed in different ways. 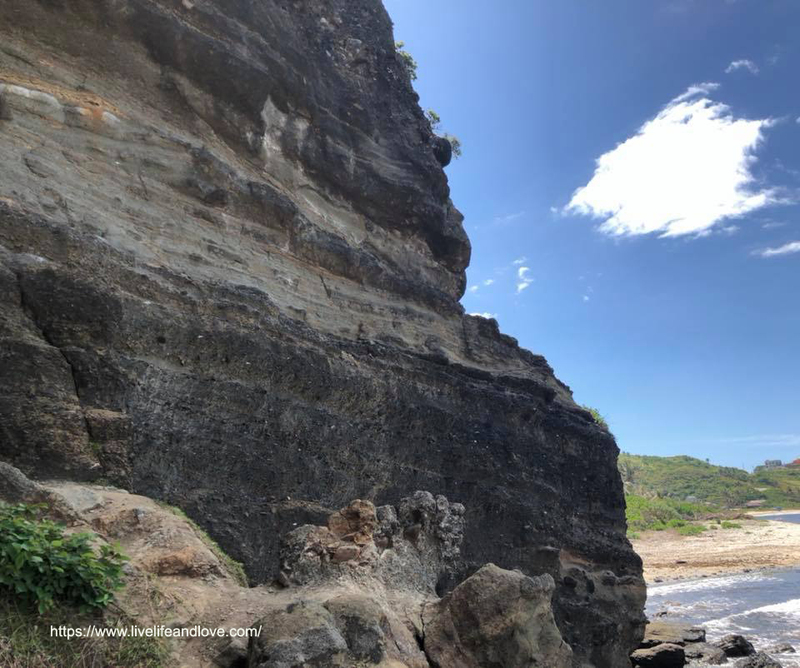 A splendid steep rock formation, magnificent scenery.